There is lot of furniture and belongings in any of apartment. First of all valuable items and belongings you must keep with you. As like mobiles, laptops, certificates and jewelry. There is required to pack everything properly. All of furniture need to dismantle and after need to pack with bubble and blankets. 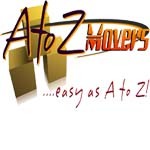 A to Z apartment movers in Dubai is taking all of your moving needs. Our professional carpenters are armed with modern tools. Our team is friendly and communicates with you English and Arabic both for your easiness. Keep remember before hiring apartment movers in Dubai! Before hiring any local apartment movers in Dubai you should keep in mind following point. If you will follow these steps then you will feel easy. Hire such moving company which is licensed and having Tax returns numbers. If they do not have TRN then its mean they are fake. Yours selected apartment movers in Dubai charging you competent and reasonable price? Are you charging extra for yours extra-large items? For example lockers, piano or chandeliers. Is there any extra charge for distance to drop of locations or any item which not adjustable in lift and its needs to take it from stairs? Is there any extra charge for evening time or weak end moving? How you will pay to yours movers company? Either in cash, cheque or credit card? Many movers companies need advance payment for booking. For more details contact us at +971556821424. Call us today for your upcoming move booking.